Investigating the unsolved murder of Jennifer Olson Servo. TRUE CRIME PODCAST: In this week's episode, we answer listener questions and discuss theories about Jennifer’s murder. Here to talk about the case with me is my Executive Producer and husband, David Edwards. We’re searching for a real-life murderer, so join us for the podcast and contribute to our interactive investigation on Facebook on our Justice...Delayed Podcast Discussion Group! Abel, Sherry Servo, Interview with Sharon Newman Edwards, recorded on 18 September 2017. America’s Most Wanted, “Unknown Jennifer Servo Killer”, http://web.archive.org/web/20120308102826/http://www.amw.com/fugitives/case.cfm?id=25573#evidence, YOU HAVE TO WAIT ABOUT 5 SECONDS FOR THE JENNIFER SERVO STORY TO LOAD; last accessed on 11 October 2017. CensusViewer.com, “Abilene, Texas Population: Census 2010 and 2000 Interactive Map, Demographics, Statistics, Quick Facts”, http://censusviewer.com/city/TX/Abilene, last accessed (2nd time) on 10 October, 2017. (My personal calculation: Abilene had just short of 116,000 (115,964) people in 2000 and just over 117,00 people (117,063) in 2010 - a change of only 1,099 people in 10 years. So I think we can pretty easily extrapolate the population of Abilene in 2002, to be somewhere between 116,000 and 117,000 people, probably closer to the former. Dow, Harold, “Deadline for Justice”, 48 Hours Mystery, CBS, https://www.youtube.com/watch?v=_zhrOOa0EeM, last accessed 9 October 2017; first aired in 2008. Martz Geoff, “She Could Have Gone Anywhere She Wanted To”, http://abcnews.go.com/Primetime/story?id=3561560&page=1, published on 11 September 2007. “New Leads Spark in Abilene Reporter’s Murder”, http://www.cbs7.com/content/news/New-Leads-Spark-in-Abilene-Reporters-Murder-367910981.html, published 6 February 2016. Stowers, Carlton, “Dreams & Nightmares”, Part 1 of his 8-Part Series, Abilene Reporter-News, 8 October 2006. Stowers, Carlton, “A Portrait of Jennifer”, Part 2 of his 8-Part Series, Abilene Reporter-News, 9 October 2006. Stowers, Carlton, “Horror at Hunters Ridge”, Part 3 of his 8-Part Series, Abilene Reporter-News, 10 October 2006. Stowers, Carlton, “The Investigation”, Part 4 of his 8-Part Series, Abilene Reporter-News, 11 October 2006. Stowers, Carlton, “Truth Seekers”, Part 5 of his 8-Part Series, Abilene Reporter-News, 12 October 2006. Stowers, Carlton, “Psychics & Select Societies”, Part 6 of his 8-Part Series, Abilene Reporter-News, 13 October 2006. Stowers, Carlton, “False Leads”, Part 7 of his 8-Part Series, Abilene Reporter-News, 14 October 2006. Stowers, Carlton, “Unfinished Requiem”, Part 8 of his 8-Part Series, Abilene Reporter-News, 15 October 2006. Stowers, Carlton, “The Murder of Jennifer Servo”, Girl in the Grave and Other True Crime Stories, published in 2014. Trigoboff, Dan, “Reporter Killed in Abilene”, http://www.broadcastingandcable.com/news/news-articles/reporter-killed-abilene/93911, last accessed 8 October 2017. Vine, Katy, “Why Can’t They Find Her Killer?”, Cosmopolitan Magazine, published in September 2003. Music: "Looking Back", Music for Podcasts by Lee Rosevere, copyright 2016, Licensed under a Creative Commons Attribution (4.0) license. http://happypuppyrecords.ca/. Editor, Web Designer, Tech Advisor, and Executive Producer: David Edwards. 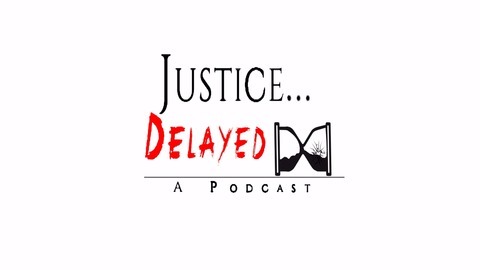 CONTACT INFO: Follow us on Facebook, Twitter, and Instagram: https://www.facebook.com/groups/357310294682620/http s://twitter.com/JusticeDelayedP https://www.instagram.com/justicedelayedpod/ Join our discussion group on Facebook by searching Justice Delayed Podcast Discussion Group. 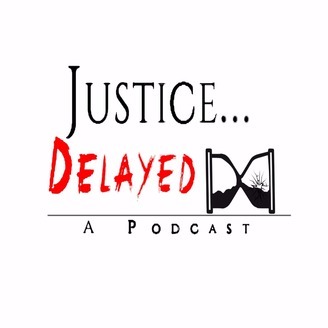 Follow us on Twitter at Justice Delayed P (as in podcast) and on Instagram at Justice Delayed Pod. Post on Instagram or Twitter and use #JenniferServo or #SolveJenniferServosMurder. Send me suggestions for leads to pursue, and ask questions on our Facebook discussion group and at Sharon@JusticeDelayedPod.com or at 210.836.8680 (Dedicated Voicemail Line). If you have a tip about Jennifer Servo’s case, contact the Abilene Police Department at 325.673.8331 or Crime Stoppers at 325. 676. TIPS. You can also find those phone numbers on our website at JusticeDelayedPod.com.